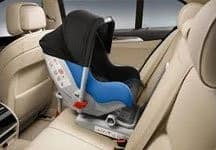 In Minnesota, three out of four child seats are used incorrectly, and many parents aren’t aware of the restraint steps a child should progress through as they age and grow. A vehicle is the most dangerous place for children and crashes are the leading killer of children under age 14. Learn More: 2018 Car Seat Clinics, 2019 Car Seat Clinics. Learn the restraint steps a child should progress through as they age and grow. Restraint is not secured tight enough – it should not shift more than one inch side-to-side or out from the seat. Harness on the child is not tight enough – if you can pinch harness material, it’s too loose. Retainer clip is up too high or too low – should be at the child’s armpit level. The child is in the wrong restraint – don’t rush your child into a seat belt. 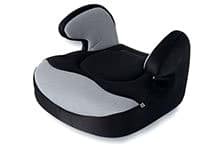 Booster seats lift a child up to help adult seat belts fit children properly. Children must start riding in a booster upon outgrowing a forward-facing harness restraint (typically age 4 and 40-60 pounds). Children should remain in a booster until age 8 or 4 feet 9 inches tall, whichever comes first. It is recommended, however, for children remain in a booster based on their height rather than age. Learn more about Minnesota’s child passenger safety law, which requires a child who is both under age 8 and shorter than 4 feet 9 inches to be fastened in a child safety seat or booster. Use this Seat Belt Use Guide to be safe during your pregnancy.